First I would like to say thank you to a lovely bunch of girls for welcoming me into the Artsy Wednesday Group! I am very excited to be a part of it all and couldn’t wait to get started! Basically by joining the group I have now committed myself to creating fancy pantsy nails to post here on my blog, every Wednesday at 12.00PM! Yay! Any excuse! So every week there is a theme in which we are all challenged to create nail art for, and this week happens to be Ombré nails! One of the great things about being in this group, is that now I don’t have to rack my brains for nail art ideas and it also gets me to try new things! Who knew I could do Ombré nails hey? Incredible! 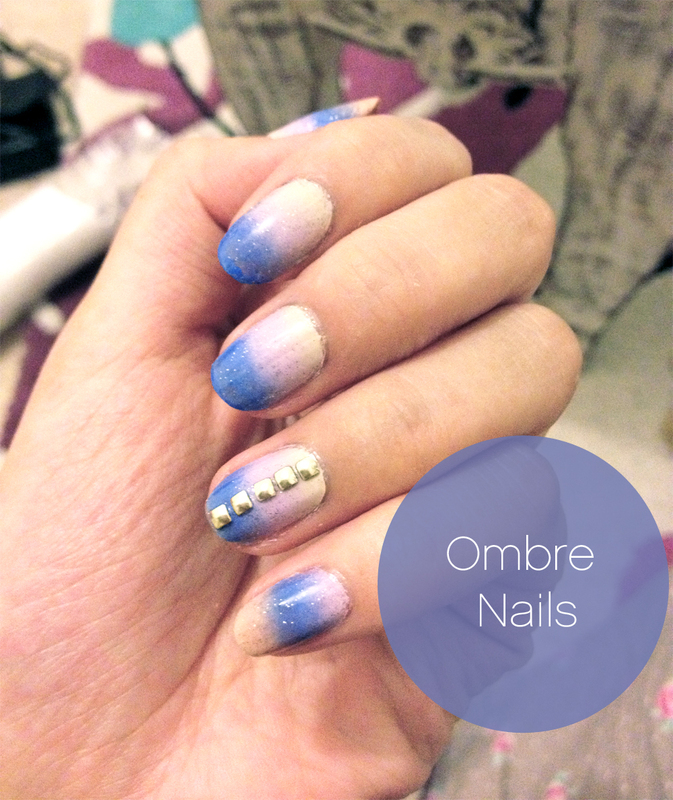 So, here is my first Artsy Wednesday entry and my attempt at Ombré Nails! I will list the other fabulous ladies below too, so you guys can also check them out also! I’ve very much enjoyed my first Artsy Wednesday post and I hope you liked it! Any feedback is welcome! Thanks for checking out my post guys! Tags: Artsy Wednesday, Beauty, Nail Art, Nail Polish, nailpolish, Ombre, Ombre Nails, Pastel Nails, Spring Summer, Summer Nail designs 2012. Bookmark the permalink. It’s funto have you in our group – and your first mani is gorgeous! Thank you Catrine! 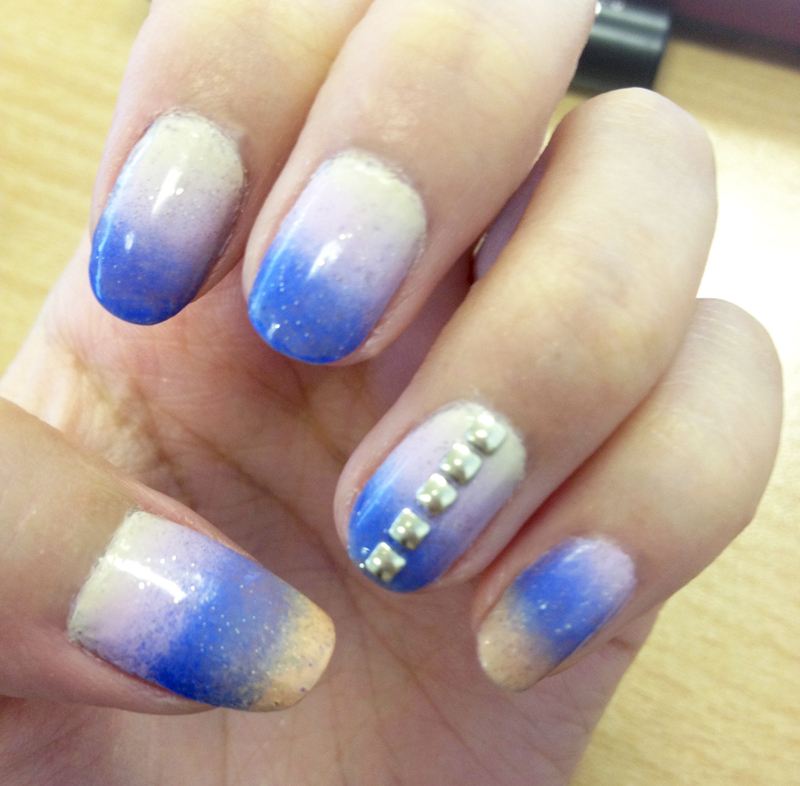 Your mani is super creative! love it! I’m obsessed with polka dots too! haha Yes my studs took forever to get here too, I got mine from eBay! ooooh love this…. will be definitely trying this out when i can be bothered. Can i have my stool back? LOVE! you should definitely do a tutorial, because i’d love to try this.